In 2014, with support from the Nominet Trust, we embarked on building IoTA – The Internet of Things Academy – in partnership with the Forum for the Future. IoTA is a website with a core mission to show how can people use their data as evidence for change. We believe that in the long term, this evidence can influence regulation and policy, encourage a culture of civic innovation and change corporate practices. In order to test our assumptions around IoTA, we started building micro-level demonstrator projects. The first project was NoiseNap which aimed to foreground the relationship between aircraft noise pollution and individual health. The next project BuggyAir is on a slightly bigger scale, and is a topic close to our hearts. IoTA and Superflux are working in partnership with Virtual Technologies and Sciencescope for this project. 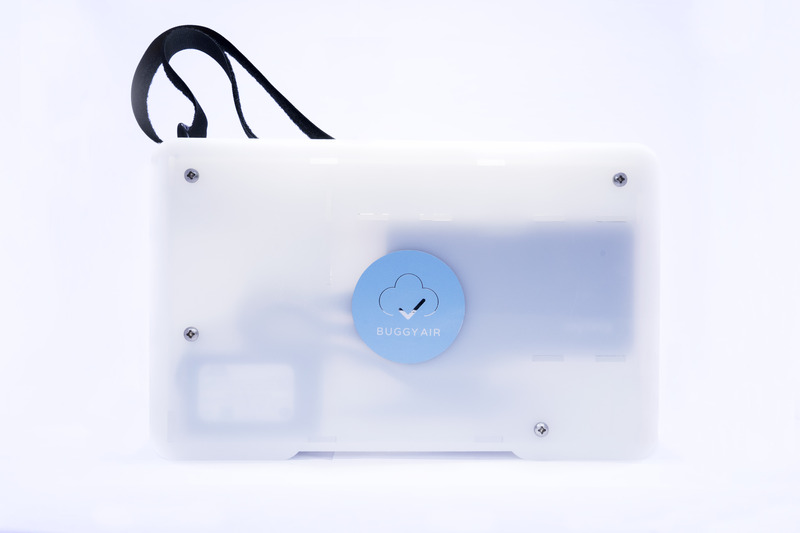 BuggyAir is an accurate mobile sensing kit that helps parents understand their children’s exposure to air pollution. Today, in our cities, infants and toddlers who are constantly wheeled and carted around our roads are most susceptible to ground level air pollution, and are at highest risk. Till date, no project has investigated the impact of air pollution on this demographic, which represents the largest subgroup of the population susceptible to the effects of ground level air pollution mainly caused by NO2 (Nitrogen Dioxide) and PM (Particulate Matter). Long term health implications include lung, cardiovascular and neurodegenerative diseases, cancers such as leukaemia, allergy sensitization, asthma and significant deterioration in well-being. There is a big difference between air quality and personal exposure to pollution. Current air quality measurements are taken by a few static sensors often set above pedestrian level, with the general picture of average ambient pollution shown as an interpolation between these points. The air quality networks in use are also expensive to operate and few cities have the money to build comprehensive monitoring systems. As the right to clear air becomes legal requirement in the UK, as per the UK Clear Air Act, this issue will become even more important to address. Rather than package BuggyAir as an “IoT” product, our focus has been to deconstruct that notion of a “product” and focus instead on all the moving parts of such a connected system. This piecemeal approach intends to illustrate the multiple skills, knowledge and expertise such projects require, as well as the aspects of our daily lives they affect. We also want to use this project as a pilot to learn what works and what breaks within the much hyped IoT product world when you actually make and deploy something within communities. 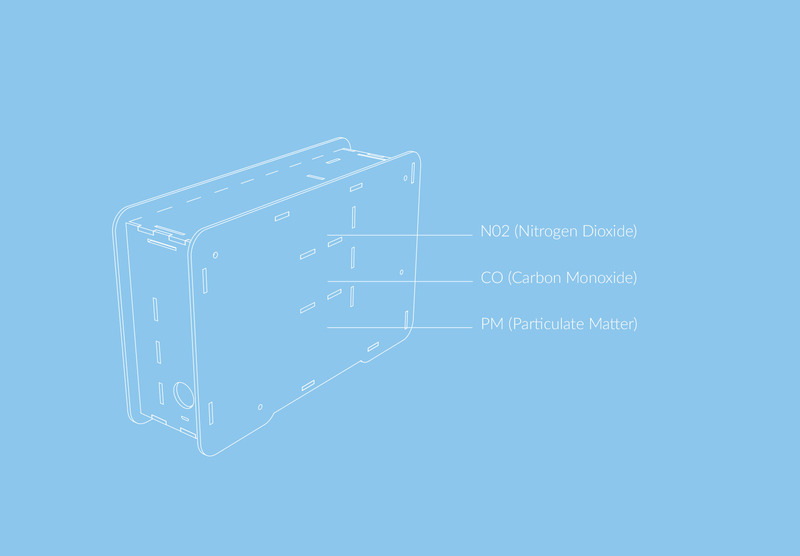 With a team of designers, researchers, software and hardware technologists and experts in air quality, we have built a set of 10 sensors kits that we will give to 40-50 parents and carers in London for a period of 2-3 weeks. Participants will use to these kits to measure, monitor and collect data regarding their children’s exposure to specific, damaging air pollutants, and in the process also learn about IoT. A number of projects have developed low-cost or mobile air quality networks but all have suffered from varying and often poor accuracy, which can either cause panic, or be easily dismissed. BuggyAir’s focus has been to build and test wirelessly connected mobile AQ sensor kits with far greater accuracy at a lower cost than traditional solutions. This type of accurate sensing device will provide large geotemporal air quality datasets that can be linked with health data by careful selection of the cohorts and epidemiological data analysis. Our latest prototype has three sensors that measure NO2, CO and PM. The sensors are connected to the participant’s mobile phone and then uploaded to a server as anonymised data. Each participant sees their data – both in raw form, and also on the IoTA platform in the form of a route map, with visible pollution spots in their journeys. On the IoTA site, participants can also discuss their concerns and insights with other participants, and learn more about what they can actually do with that data. The ways in which this data is collected, interpreted, visualised and shared is a crucial aspect of our project. From the onset, we want to create decision making pathways for participants around their data. To start with, the collected data should only visible to individual participants, and no one else. Participants can decide if they would like to keep the data entirely private, share it with other participants or with anyone else. They can also decide to what extent they want to share it. By testing this process around data accountability, we want to learn what the most appropriate, ethical and responsible models for making such participant data legible and meaningful are. Based on our learning we will publish our guidelines for a data commons model. Direct community engagement remains BuggyAir’s most important focus. We want to learn, and understand how people engage with IoT its wider ecosystem, and their overall experience of using the device and the data – from the surprise success to the crashes and failures. After a series of prototypes of varying fidelity, and lots of testing around the hardware and software, we have the final prototypes encased in a shatterproof kit that can be hung on buggies. The prototypes look big, because the hardware has not been custom manufactured yet. The final device will be a lot smaller. This is a practical prototype that it is weatherproof, encases all the sensors and hardware, and allows good airflow. Six kits are currently out with different families, and we are testing the data sensing, collection and visualisation with the participants. We have designed the research kit with as much love and attention as the prototype itself because it is crucial that the participants find the process engaging, stimulating and enjoyable. And the process through which we initiate the participation activity is directly related to the ways in which participants respond and partake in the research. 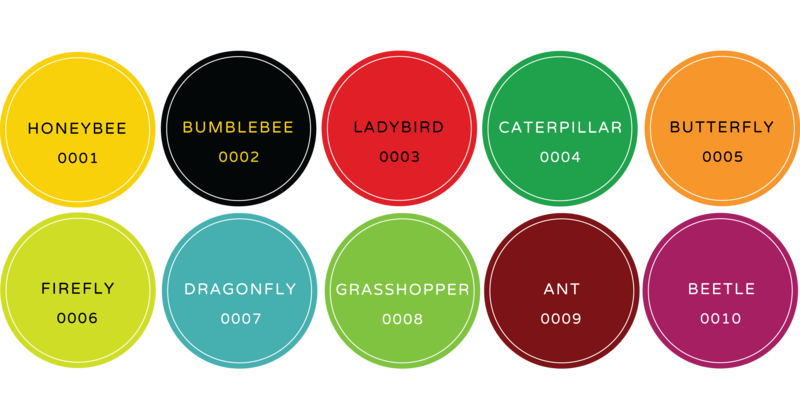 Each kit has a unique name and identity. When designing field trials and deployment for new groups, it is often difficult to gain a true understanding of the group’s culture, behaviours and attitudes, and even more difficult to dig deeper to uncover preferences, concerns and desires. We have developed a rigorous design-led approach for BuggyAir, with a process that enables continuous iteration. The community engagement will be through design-led ethnography — not simply through interviews, but through designed probes, photographs, data visualisations and role playing. We bear in mind that people will use their own perceptions of the situation to correct or go beyond the inevitably limited interpretations of a sensor-based system. We believe that true power of IoT technology lies in the hands of people and communities who decide to use this technology to gain empirical understanding about issues that matter most. Using the IoTA platform, BuggyAir encourages what are usually “end users” of a technology to become active participants, sense-makers and translators of the technology. We want to understand how this little data can demonstrates the viability of the system, clearly show the level of exposure, and its impact on children. We want to gather evidence of behaviour change based on the data produced. Ultimately we want to break some of the barriers and invisibility around this technology, and create methods that will enable people to collect data for things that matter, and take control over the data they create. This project is the winner of Innovate UK’s IoT Launchpad Competition. If you would like to know more or participate in this trial, do get in touch.